Ominous and divined, with temperament and wisdom. 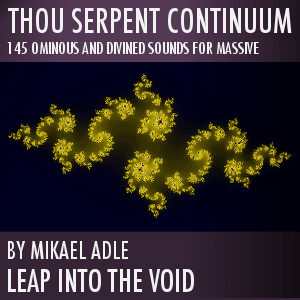 Thou Serpent Continuum is the continuing saga of The Serpent. A parallel universe with a completely new structure and behavior for which each and every sound of The Serpent has been remodeled and nurtured by soloing each oscillator and signal path to re-sculpt and design new sounds, shapes and timbres. Note: All sounds in the demo come from the soundset with no fx but a small amount of limiter on the output.